The Week in HD - Tuesday 28th February | What Hi-Fi? Welcome back to our guide to essential viewing for this week - all the fun HD and 3D TV shows, films and sports (a lot of football this coming Sunday). Also, it's Spring now! We had a grand time at the Bristol Sound & Vision Show 2012 last weekend, and if you didn't manage to make it there, you can catch up with all the highlights from our news and video reports. Documentary exploring the ground-breaking discoveries made since mankind first ventured into space and examining the new phenomena being uncovered daily as scientists try to understand the universe and its mysteries. 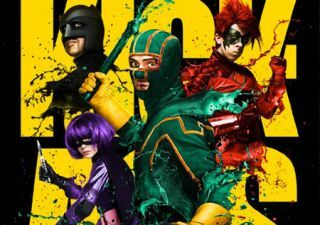 Slick and cool black comedy about the superhero genre. Aaron Johnson stars as a lonely high school student who decides to don a costume and become a superhero, but finds himself battling real-life crimelord Mark Strong. Chloe Moretz steals the show as the skilfully violent and awesome 10-year-old Hit Girl. A dream within a dream within a dream within a dream within a dream... Basically, Inception is awesome. Leonardo di Caprio, Cillian Murphy, Ellen Page, Tom Hardy and Joseph Gordon-Levitt star in this film with stunning mind-bending Escher-like sequences and a brilliant soundtrack. Ben Fogle and a team of scientists take a look at Australia's saltwater crocodiles. Paul W.S. Anderson's remake of Dumas' swashbuckling adventure is both ridiculously silly but loads of fun, with some really good swordplay thrown in. Featuring Milla Jovovich and Christoph Waltz, it's also out on Blu-ray. Yet another apocalyptic disaster movie, with Matthew Kevin Anderson and Jewel Staite (Kaylee from Firefly) trying to locate a mystical artefact to stop natural disasters from destroying the world. Rocking the Mayan vibe. As Clarkson and May pay tribute to Swedish car maker Saab, the 11th Doctor Matt Smith materialises to see if he can become the fastest time lord. Will he succeed? Spoilers! The first Transporter film was so much fun. Jason Statham gets his Bond moment as an ex-Special Forces operative who now 'transports' goods between bad guys. Awesome car chases and action scenes. John Cusack, Goldie Hawn and Kasabian joing the host for fun chit chat and songs. From the world-renowned human circus comes a jubilant celebration of youth, old age and the passage of time, featuring contortionists, fire dancers and stunning aerial acrobats. The Hounds of Baskerville - A hound from Hell. Mark Gatiss pens this revamped version of Holmes' most famous case, but is it really a spectral hound that's been stalking Dartmoor and Henry Knight? Or does the top secret Baskerville military compound have something to do with it? The National Theatre and Handspring Puppet Company take us behind the scenes for a fascinating look at the award-winning West End adaptation of Michael Morpurgo's story about a horse's journey through the First World War. A race at Donnington, recreating the Battle of Britain with an aero-engined Bentley, and Blur bassist and cheesemaker Alex James is the star in the reasonably priced car. Things get even more troublesome for our supernatural trip as teenage vamp Adam seeks refuge from the press at Honolulu Heights.